The pro-choice author of “Abortion: A Positive Decision” interviewed abortion providers and post-abortion women talking about how great abortion is, and how helpful to women. Whose life and whose death? Throughout the book, Patricia Launneborg presents abortion in the most positive terms possible, but she admits that she knows that abortion is a life-and-death issue, that abortion, ultimately, destroys a life – kills a child. Other pro-choice activists have said the same thing. And is abortion really safer than a wisdom tooth extraction? Women who died from legal abortions or suffered complications would disagree. 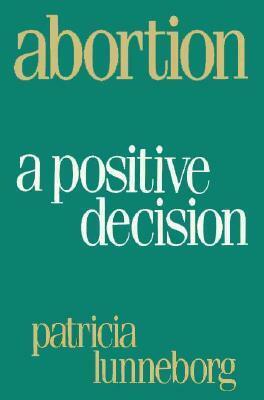 Patricia Launneborg, “Abortion: a Positive Decision” (New York: Bergin & Garvey, 1992).